A Prairie in GTA V.. 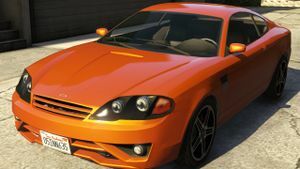 The Bollokan Prairie is a two-door coupe in Grand Theft Auto V. This car is based on the 2002-2008 Hyundai Tiburon. This page was last modified on 14 January 2015, at 20:20.